Cross Her Heart is another hit for author Sarah Pinborough (after another great novel, Behind Her Eyes). 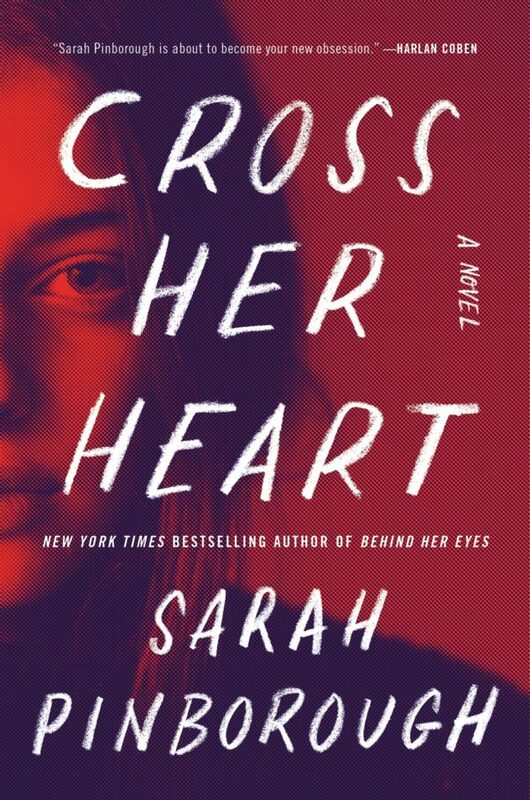 Written in alternate chapters by different characters, Cross Her Heart is a fabulous addition to the psychological suspense genre. Taking place in present day Britain, single mother Lisa is overly cautious and very protective of her teenage daughter, Ava. Ava is annoyed at her mother’s clingy nature, which only increases when she is in the company of her friends, whose parents are much more trusting of their own children. Lisa’s life consists of work and her home life with Ava. Her nights out are few and far between and they are usually with a close co-worker, Marilyn, and her husband, Richard. But, unbeknownst to anyone who knows her, Lisa’s life is starting to unravel when glimmers from her past begin to emerge. She wakes up every day with panic that her past will come back to haunt her carefully constructed life. But Lisa isn’t the only one with secrets. Ava has also been keeping secrets from her mother and is involved with someone older who says they care for her, or do they? While attending a town festival, Ava rescues a toddler from a near tragedy and the fanfare that develops around Lisa and her daughter has catastrophic results for the two of them. Someone recognizes Lisa and the life she has built for herself and her daughter is in jeopardy. Both Lisa and Ava are at danger and Lisa leans on her trusty friend Marilyn for support. With asking Marilyn for help, also means that Lisa has to be completely honest with her which could put everyone at risk. The twists and turns in Cross Her Heart are fast and jaw dropping. If you love this genre, Sarah Pinborough is a great author to check out.